2) Language is Hindi or English or Hinglish Only. 3) Questions from Live Chat & Instagram DM & Comments of Videos will also be taken. 4) Before Asking Any question Kindly mention AGE, WEIGHT ,SYMPTOMS ,Patient’s Current Medical Treatment going on, Patient History , Known any allergies. 5) Kindly Note this is just Free Guidance/ Awareness for Medical Disease / illness / prepared for General Education & Information ,This under no circumstances is a replacement for your Physical Doctor or Medical Person, This is just a second opinion / educated guess on any case or possible medical guidance, In no way it should be construed as a professional medical advice and always follow the advice of your local family medical doctor who is able to do proper check up and diagnose your conditions on your physical presence. 6) This guidance doesnot construe any medical advice / is not a professional Patient Doctor relationship / its just FREE COMMUNITY Medical Guidance Service with no prescriptions , Just for Educational / Infotainment purposes. 7)Any misinterpretation or misuse or use of the information , is fully viewer responsibility , the content maker take no responsibility for it,No claims will be accepted. 8) Host of the Live Clinic /Broadcaster are not bound to answer all questions , Also detail answers may or may not be given depending on the discretion of the host/broadcaster , kindly note there is no legal obligation to answer any questions , As its a Free Clinic conducted just for general Medical Awareness & Medical Related Education to masses & doesnot form a doctor patient relationship. 9) Due to Paucity of Time or Info , IF Questions are not answered , you can come back on next Live Clinic @9pm Held Every Saturday or post on Video comments. For personalised attention & detailed answers , below are given methods for e-consultation which are paid which you can opt for. 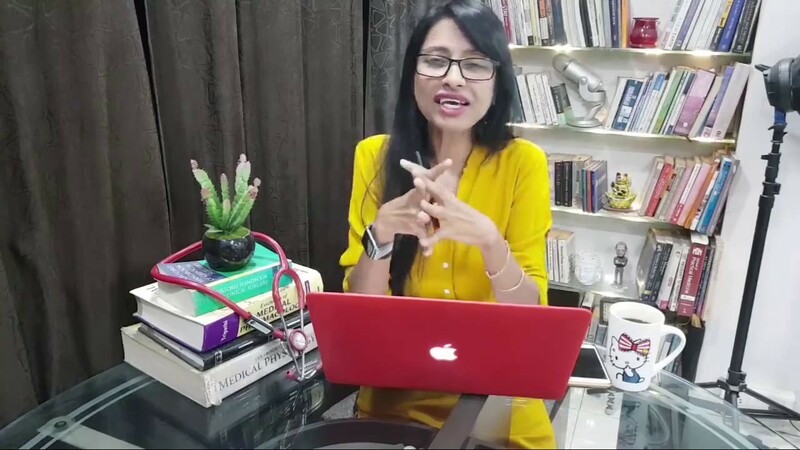 Lastly As Medical Advise forms a patient doctor relationship which is not possible in this online Public CHAT format you can always Consult Dr Rupal in Private via the Below e-consultation methods for a personalised Medical Advise.